FC Buffalo hasn't added a story. 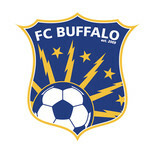 FC Buffalo is a soccer club in the National Premier Soccer League based in Buffalo, New York. We’re more than just a sports team though. We believe a soccer club should be a pillar of its community. Since our inception in 2009 we’ve stayed true to our club motto, “For Our City”, and have tried to do our part around Buffalo. 2019 will be special, as it’s our 10th anniversary season, and we’re using it to renew our commitment to our city and to everyone that calls it home. We’ve been invited to spend part of our preseason this May in Germany. A major theme of our trip, through festivals and the clubs we will be playing, is diversity and tolerance. Soccer is the world’s game, and it has the incredible power to bring people from all walks of life together. We plan on continuing on with this theme when we come home, and this fundraiser is the start of it all. Your donations will both help support the Buffalo refugee community and allow us to take our staff to Germany, where they will act as ambassadors of our club, our city, and our country. FC Buffalo’s staff members are volunteers who sacrifice their time to help the club with everything from game day operations to community outreach. If you'd like to learn more about all of this, please watch our short video above. The milestones below show exactly what your donations will be used for. Donations prior to hitting $10,000 will be split 50/50 between the Buffalo refugee community and FC Buffalo volunteer staff. 100% of donations after $10,000 will go to the Buffalo refugee community. All donations after $12,750 will go towards soccer field improvements for parks in Buffalo’s West Side community (the West Side is where a large percentage of Buffalo’s refugee and immigrant community live). This is meant to be general as FC Buffalo will work with community members and our partner organizations to use this money in the way that is most beneficial to the West Side community. Further updates will be given as we reach this goal. We have exciting things planned! FC Buffalo hasn't posted any updates yet. FC Buffalo is managing the funds for this campaign.